The Northside Regeneration urgent-care project collapsed last year after high winds. The construction had visibly collapsed by December 28, 2018. The project would have brought three hospital beds and 24/7 emergency service to a part of north St. Louis that has few urgent care facilities and lower life expectancy. The area has the “highest health concerns” in the city, according to the Missouri Department of Health and Human Services. The developer had scheduled the urgent care for completion in late 2019, according to a progress report an attorney for the developer filed with the Missouri Department of Health and Human Services last November. But now, the project’s future is uncertain. 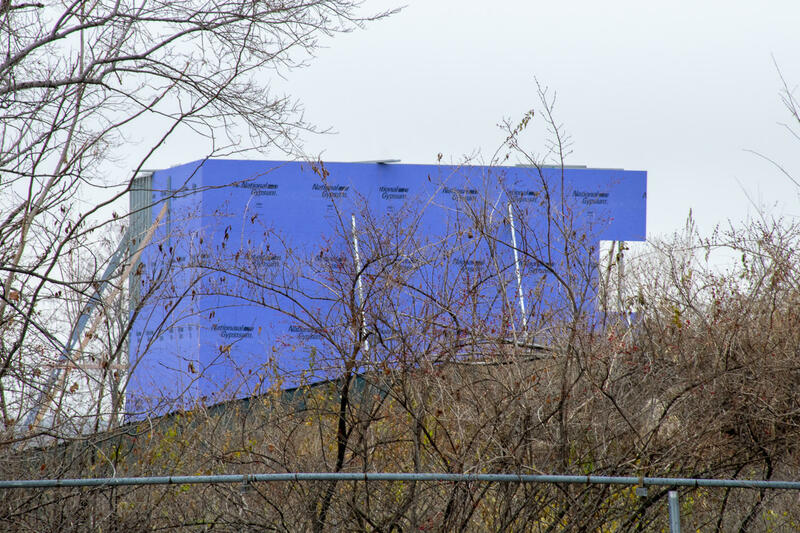 Little activity was visible at the intended Northside Urgent Care construction site on March 26, 2019. The urgent care was originally supposed to be part of a $72 million complex of medical buildings, office space and hotels in the Northside Regeneration footprint. It had a Certificate of Need granted through a regulatory program run by the Missouri Department of Health and Senior Services for health care services and facilities. McKee did not respond to requests for comment. Neither did an attorney coordinating the urgent-care project nor a public relations consultant affiliated with Northside Regeneration. The urgent care was just one project in McKee’s $8 billion Northside Regeneration project. 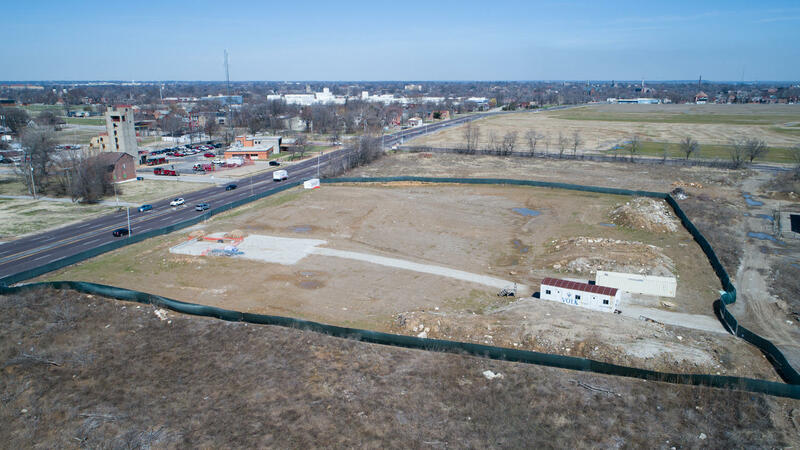 That effort has stalled since last June, when the City of St. Louis accused the developer of failing to complete developments in a timely manner and neglecting multiple legal obligations. McKee’s first project, a gas station, opened in October. A grocery store within the development is scheduled to open in April. Many other projects, including rehabilitations, are behind schedule or haven’t started. Urgent care construction began after May 2018, when the city approved the project permits. Construction had begun on several walls by December 13, 2018. In 2014 application papers to the Department of Health and Human Services’ Certificate of Need program, Northside Regeneration promised the hospital would serve more than 7,500 people in its first year and accept patients using both Medicaid and Medicare. The project boasted letters of support written by elected officials, neighborhood residents and community organizations. But the project encountered near-immediate difficulties. In 2015, shortly after Northside Regeneration gained state approval, the developer decided to move the urgent care from its original location. The old site would become the National Geospatial-Intelligence Agency’s new $1.75 billion facility; the urgent care would instead be located at the former Pruitt-Igoe site, still within the Northside Regeneration project area. The developer requested extra time and a budget increase from the DHSS for the move. It became the first of six extensions the developer required. The project was also eligible for millions in reimbursements and tax increment financing notes from a $6.45 million TIF package approved by the Board of Aldermen in 2017. According to the city comptroller’s office, no reimbursements or notes have been issued. Dean Linneman, who directs the DHSS division that oversees the certificate program, said that a developer in Northside Regeneration’s situation might decide to discontinue construction and forfeit the Certificate of Need. But the project still follows DHSS guidelines, despite the city’s cancellation of the building permits. Linneman said some projects “can get drawn out for lengthy periods” because of unexpected issues with project sites, permits or zoning. To keep the Certificate of Need, the developer must file a progress report every six months and continue construction. The next urgent care progress report is due in May.